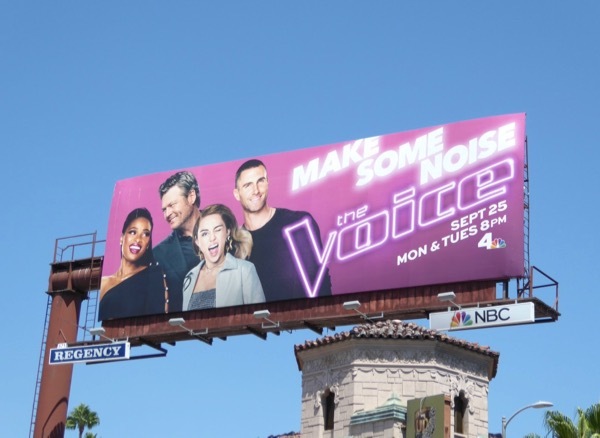 This September Jennifer Hudson joins The Voice for its thirteenth season and the singing competition also welcomes back Miley Cyrus as a coach alongside Blake Shelton, Adam Levine and host Carson Daly. No stranger to reality talent contests, she rose to fame on the third season of American Idol and even though she didn't win, she did score an Oscar for her role as 'Effie White' in 2006's Dreamgirls movie adaptation. 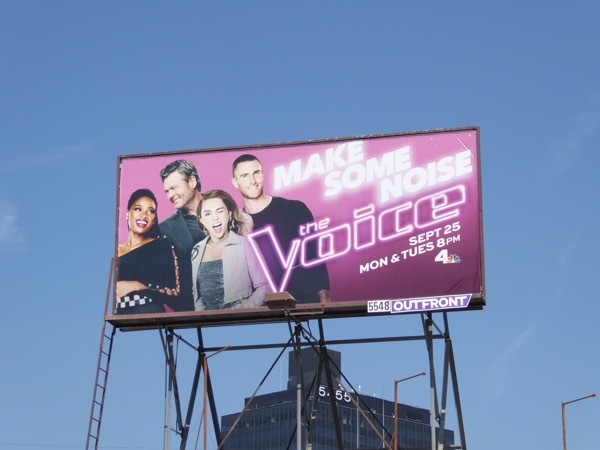 The rest as they say is history, so she has the vocal chords and experience to guide the hopeful new contestants. 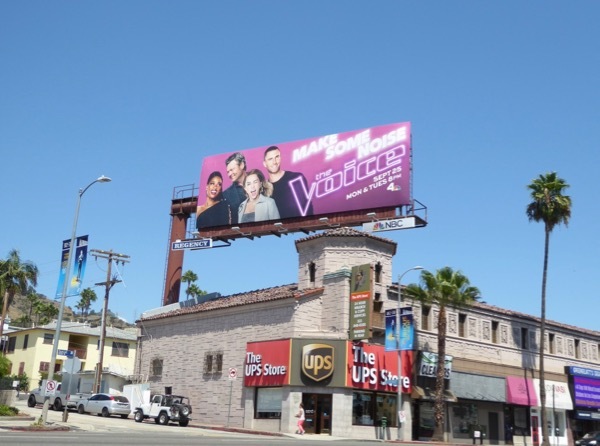 These season thirteen billboards were snapped above Sunset Boulevard in West Hollywood on August 27, then above La Brea Avenue on September 9, 2017. 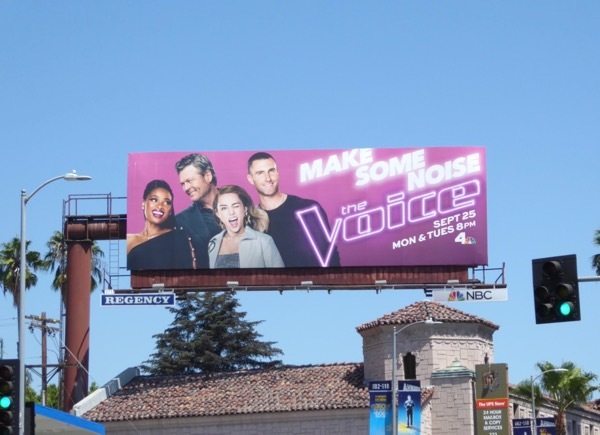 Meanwhile fans of the show can enjoy all the previous season promo billboards for The Voice from years past since its debut in 2011. 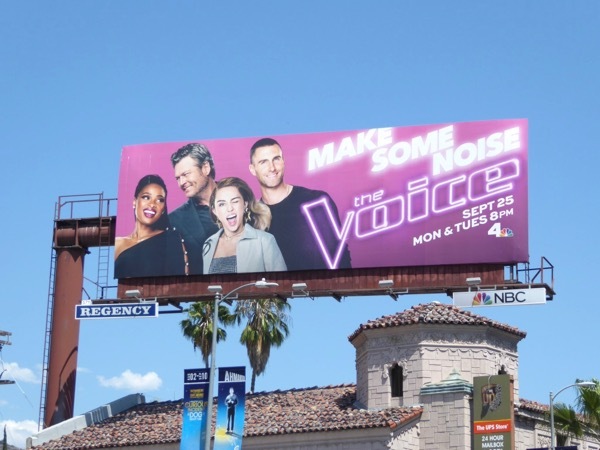 The Voice continues to 'Make some noise' but will this season be unlucky for anyone being its thirteen cycle, or will the beat continue to go on.